Written on 3/11/2011 (#311), the day of the great 8.9 Japan earthquake that occurred at 2:22 (#222) local time. #11 is God’s number of warning just like #911 and #222 is a super Jesus related number. 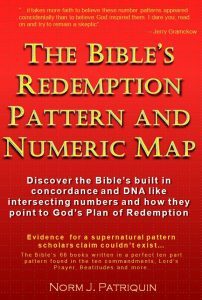 I would not call myself a Bible expert and certainly would not claim to know much about prophecy, but I seem to be able to observe patterns in the Bible’s numbers and text and the evidence seems to confirm God has left much evidence about him in both the numbering and text. I’m leaving here some of what I observe about earthquake and earthquake related numbers in scripture. This is evidence for you to judge for yourself – see if God has something he wants to tell you from his word. The word earthquake occurs 19 times in the Bible. Different translations report different number of occurrences but I find the KJV seems more consistent in number/word patterns so I trust #19 is probably likely association with the word earthquake. Another example of a #19 related verse (check out several 19:19 verses and you will see the pattern) – Deu 19:19 then you shall do to him just as he had intended to do to his brother. Thus you shall purge the evil from among you. #19 seems often about warnings for us to turn from sin. It is no accident #911 is closely related to #19. Here’s the 11,911th Bible verse – 2Chr 33:2 He did evil in the sight of the LORD according to the abominations of the nations whom the LORD dispossessed before the sons of Israel. Look at other 9:11 verses to see this pattern – one of the most well known is Daniel 9:11. #911 seems about judgments for nations or countries turning from God and is not as often seen about individual sin. 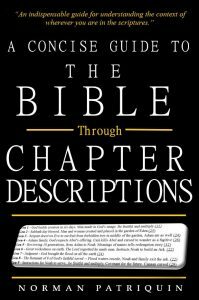 #19 and earthquake – The first occurrence of the word “earthquake” in the Bible is found at 1Kings 19:11 – interesting we find #911 in this reference. The first references to things in the Bible are important because they often guide us in understanding them, so this would seem to be a good verse to examine to understanding earthquakes in the Bible – 1Kin 19:11 So He said, “Go forth and stand on the mountain before the LORD.” And behold, the LORD was passing by! And a great and strong wind was rending the mountains and breaking in pieces the rocks before the LORD; but the LORD was not in the wind. And after the wind an earthquake, but the LORD was not in the earthquake. #19 warning and instruction from God – in 1Kings chapter 19 the Lord comes to Elijah and gives him warning and tells him what to do – go read it and then consider the entire chapter a sort of guide to understanding #19, earthquakes and God. These, along with many other examples, tell me that God uses earthquakes to warn us and to tell us only the Lord is God. Following are a full list of the Bible’s verses containing the word “earthquake”. Examine these 19 occurrences of this word in the 16 verses and see what God’s Word tells you about this subject. NOTE: Don’t try to make the pattern fit everywhere – like all studies we do of scripture, we never sort it all out. Instead, look for a general pattern across all the verses. 1Kin 19:11 So He said, “Go forth and stand on the mountain before the LORD.” And behold, the LORD was passing by! And a great and strong wind was rending the mountains and breaking in pieces the rocks before the LORD; but the LORD was not in the wind. And after the wind an earthquake, but the LORD was not in the earthquake. 1Kin 19:12 After the earthquake a fire, but the LORD was not in the fire; and after the fire a sound of a gentle blowing. Isa 29:6 From the LORD of hosts you will be punished with thunder and earthquake and loud noise, With whirlwind and tempest and the flame of a consuming fire. Amo 1:1 The words of Amos, who was among the sheepherders from Tekoa, which he envisioned in visions concerning Israel in the days of Uzziah king of Judah, and in the days of Jeroboam son of Joash, king of Israel, two years before the earthquake. Zech 14:5 You will flee by the valley of My mountains, for the valley of the mountains will reach to Azel; yes, you will flee just as you fled before the earthquake in the days of Uzziah king of Judah. Then the LORD, my God, will come, and all the holy ones with Him! Matt 24:7 “For nation will rise against nation, and kingdom against kingdom, and in various places there will be famines and earthquakes. Mrk 13:8 “For nation will rise up against nation, and kingdom against kingdom; there will be earthquakes in various places; there will be famines. These things are merely the beginning of birth pangs. Luke 21:11 (#311 as in 3/11/2011?) and there will be great earthquakes, and in various places plagues and famines; and there will be terrors and great signs from heaven. Act 16:26 and suddenly there came a great earthquake, so that the foundations of the prison house were shaken; and immediately all the doors were opened and everyone’s chains were unfastened. Rev 8:5 Then the angel took the censer and filled it with the fire of the altar, and threw it to the earth; and there followed peals of thunder and sounds and flashes of lightning and an earthquake. Rev 11:13 (#311/#113 as in 3/11/2011?) And in that hour there was a great earthquake, and a tenth of the city fell; seven thousand people were killed in the earthquake, and the rest were terrified and gave glory to the God of heaven. Rev 11:19 (911)And the temple of God which is in heaven was opened; and the ark of His covenant appeared in His temple, and there were flashes of lightning and sounds and peals of thunder and an earthquake and a great hailstorm. Rev 16:18 And there were flashes of lightning and sounds and peals of thunder; and there was a great earthquake, such as there had not been since man came to be upon the earth, so great an earthquake was it, and so mighty.